For the past 24 hours we've spent some time looking back at what made Saturn, well Saturn. I had fun posting articles throughout the day, although to be honest, some were pre-loaded into the SaturnFans.com CMS last night and auto-published while I was at work. Thankfully, everything seemed to go off without a hitch and I picked up where I left off when I got home tonight. I really enjoyed this trip down memory lane. It was great to have an opportunity to catch up with everybody in the forums, in the chat room, and on email. My inbox is overflowing right now, so if I haven't responded to your message yet I will over the next couple of days. Right now, I'm going to go get some rest. But, before I go, I wanted to ask: Should we do this again sometime? Please post your thoughts in the comments section below. As always, I look forward to reading them. Thanks again for your support and participation. 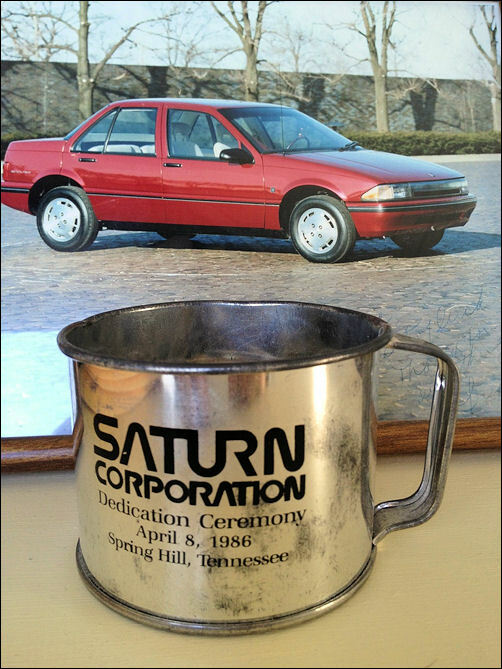 Many thanks to "tlwylie" for posting the photo above in the SaturnFans.com Photo Gallery earlier today! Incredible picture! Thank you!! There are currently 7 users and 240 guests online.